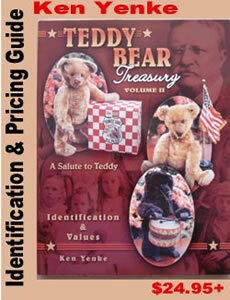 Rare Teddy B. Steiff Bear Sells for $4775.00 on eBay! Care and Cleaning of Your Treasures Brenda Yenke's begins a two part article on the care and cleaning of your bears and buds. Ken attends 19th Annual Doll and Teddy Bear Show. WPAT video link. Brenda - care and Cleaning of your treasured teddy bear. 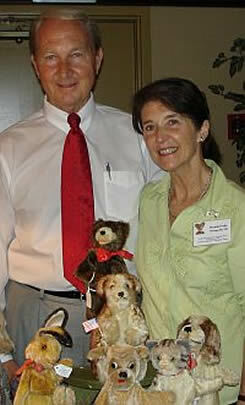 The lively couple travel to many shows and sharing their passion for collecting teddy bears with the collectors and artists. eMail: Bright Star Promotions, Inc. Copyright 2008-2014 - all rights reserved.